We all love a good upgrade. From battered smartphones to set-top boxes that have seen better days, there's nothing better than trading in your old model for a brand spanking new one - especially if you get to recycle your elderly kit along the way! But what if you could the same thing, say, with an actual car? It might sound a little mad, but that hasn't stopped 3D printing manufacturer Local Motors from considering the idea for its future models. The concept is this; customers who purchase one of the company's upcoming models (the American firm is aiming to get its first models out to consumers as early as next year, including its Swim model pictured above) would be able to bring in their current 3D-printed motor, have it melted down and have it rebuilt to a new specification. 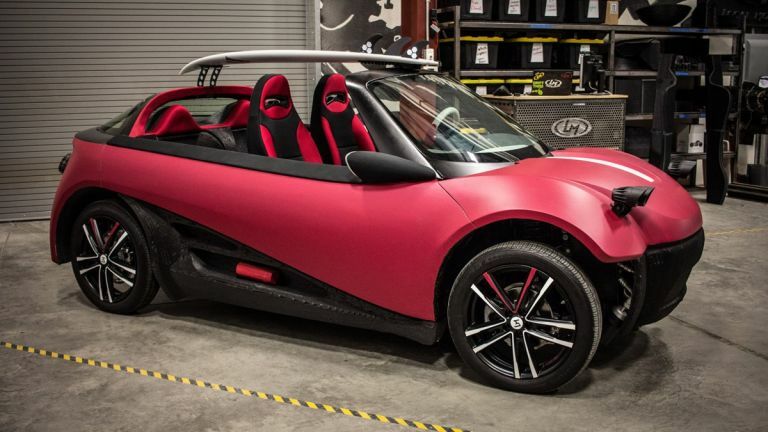 "We're working on that process as we speak, and it's possible because that material is recyclable," comments Justin Fishkin, chief strategy officer at Local Motors, tells Autoblog. "People might actually want to keep their car longer, or they'll say, I want to bring it back and we'll have a better car by the end of the day.'" Of course, the idea is still very much up in the air, but it's certainly food for thought if you're considering investing in a 3d-printed motor. Vehiles, such as the LM3D, will retail for around $53,000 (roughly £34,700).